Yum! 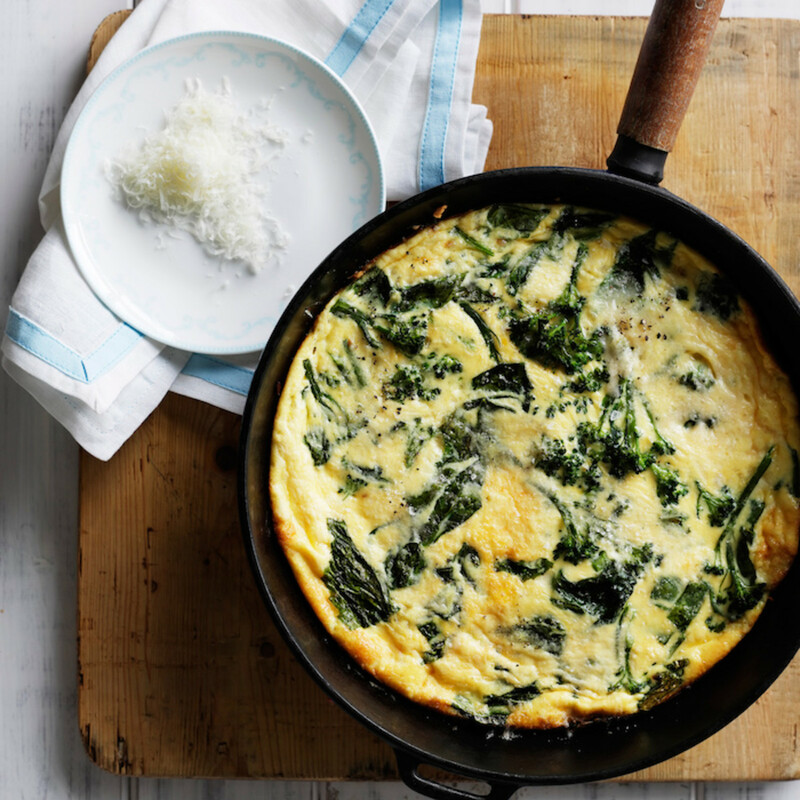 This Kale and Ricotta Cheese Frittata is on our favorites list. We are finally almost settled into our new apartment after our move last month. As someone who likes to organize and put everything in its place, it has been a challenge to live out of boxes with two kids. My older daughter has has been asking to have her friends over so that they can see her new room, which was the perfect motivator this past month as we chipped away at the boxes and created a new space for our family. To celebrate we had some friends over last weekend for a playdate/brunch. I always associate eggs with brunch, but I wanted to mix up the omelet or scramble concept and make a frittata. Since this was my very first frittata, I decided to locate a recipe on FoodandWine.com and instantly loved the combination of broccoli rabe and ricotta cheese as well as how easy it sounded. Unfortunately, I couldn&apos;t locate broccoli rabe at my local grocery store, so I decided to use kale instead as well as some leeks that was a hit! My guests also loved the frittata, and I was really excited to try this again - maybe next time with spinach, broccoli, or squash. Enjoy and happy brunching! What are you cooking this week? For more breakfast inspiration check out these three easy ideas.